"Ghosts occupy the liminal spaces between life and death, wakefulness and dreaming, beauty and terror. So it is only fitting that Michael Rowe's WILD FELL evokes all of these things and more. This is an imaginative feat that elevates the haunted house tale to a new level. 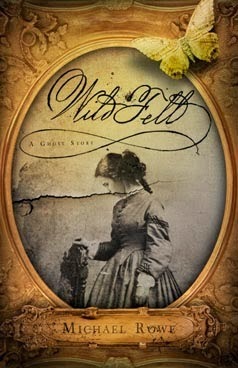 Like its ghosts, WILD FELL will seduce you, frighten you, and leave you awestruck. A magnificent and peerless novel." If you take pleasure in classical, poignant, and deeply atmospheric ghost fiction, I urge you to pick up a copy of Wild Fell, which you may do here.